This community is for all of the people who have beautiful personalities, and not necessarily beautiful faces. Don't be evil to the applicants...you will end up being banned. No innapropriate icons. Swearing is allowed...but no cussing people out. Don't argue with the mods. Put "Yes" or "No" in the subject-line when voting. Feel free to promote other communities. If you do, promote us to them. Thanx! If you promote, please do so under a cut. If you don't do this you will be warned, and on the third warning you will be banned. Thanks! Do not say no to someone based soley on their opinions. We need to have a diverse community, and rejecting someone becausethey feel differently than you do on certain subjects, is not going to help. Fill out the entire application. Don't leave anything blank. No one word answers. We want to get to know you and this is our only way. Bold the questions, it makes it easier to read. 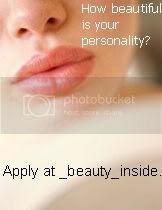 Be creative with your application. Use an LJ cut. The words are your choice. Put "Is my personality dynamite?" in the subject line. Only post comments in your entry until you are accepted. After you are accepted, have fun and stay active ! 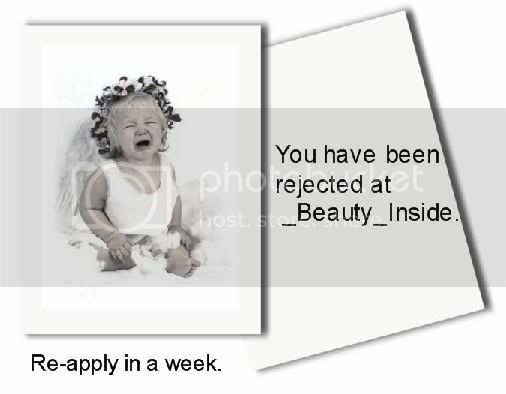 If you are rejected, you can re-apply in one week. You can only re-apply once. You will be banned if you are inactive for at least one week. You will be reminded and given a warning. You need fifteen votes to be stamped. amantsjaloux For being extremely harsh and evil to new applicants. Copy and paste this code to promote!